Highly acclaimed drama movie 12 Years a Slave has received a lot of awards attention, and critics think it deserves every one. Based on real life, the biography film tells the story of Solomon Northup (Chiwetel Ejiofor, Salt), a free New York citizen who, in 1841, is kidnapped and sold into slavery. Stripped of his identity and dignity, Northup is sold to ruthless plantation owner Edwin Epps (Michael Fassbender, The Counselor) and forced to find the strength to survive. The cast also includes Benedict Cumberbatch (War Horse), Alfre Woodard (Steel Magnolias), Paul Giamatti (Win Win) and Brad Pitt (World War Z). Steve McQueen (Shame) directs, from a screenplay by John Ridley (Red Tails) based on the memoir by the real Northup about his life. 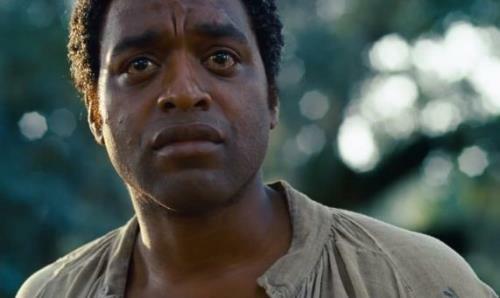 12 Years a Slave grossed $46 million in theaters and wowed every moviegoer. Critics gave the film a whopping 96% approval, according to Rotten Tomatoes, with moviegoers folloing suit with 92%. The movie won the Golden Globe Award for Best Motion Picture Drama and was nominated for six other honors, including Best Supporting Actor for Fassbender, Best Director, Best Screenplay and Best Original Score (Hans Zimmer, Inception). 12 Years a Slave also was nominated for nine Academy Awards, including Best Actor (Ejiofor), Best Supporting Actor (Fassbender), Best Costume Design, Directing and Adapted Screenplay.